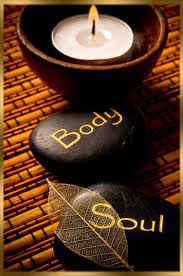 Desiring in home massage in Lake Worth? You can get a great massage whether you are in a home, condo, apartment, resort, office, vacation home, hotel, chair massage or at an event 7 days a week morning noon and evening with certified highly skilled and license massage therapist. Eminence Massage removes the cost of gas, traffic and meeting appointments. Our therapist are always top notch, well dressed, friendly courteous and are here to provide the best massage to fit your needs. Our model is to always remember our roots and what has made us successful. To treat each client with the utmost respect. Always caring to see that he or she is given our very best professional and personal attention. If requested our massage therapist can arrive 15 minutes early to assure we are on time, prompt and prestigious with your request. We will never honor a 50 or 55 minute session because we are loyal and will treat you with the elegance and refinement that the Eminence Massage Corporation itself is well known for. After your appointment you can therapeutically relax, enjoy a bubble bath, yoga, or even indulge yourself in a walk on the beach. Massage being such an adverse, enlightening, and naturally healing experience, it can balance your mind and create feelings of wholeness with one self, or share this therapeutic gift among family, friends and love ones to provide blissful and life enhancing healing moments.